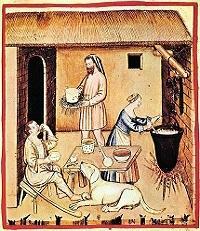 The craft of making cheese dates back at least 4,000 years. Archeological evidence exists of cheese making by the ancient Egyptian civilizations. 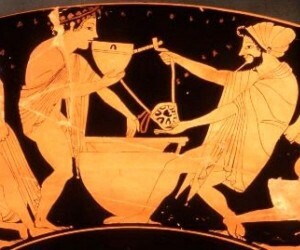 The birth of cheese is intertwined with the origins of man and of primitive societies. At a time when early man decided to devote himself permanently to agriculture, he learned to domesticated animals such as cattle, sheep and the goat, for their meat as well their milk, a valuable staple high in nutritional value. But...to make cheese from badly stored raw milk, must not have been that simple, had to be a lightening strike of genius. 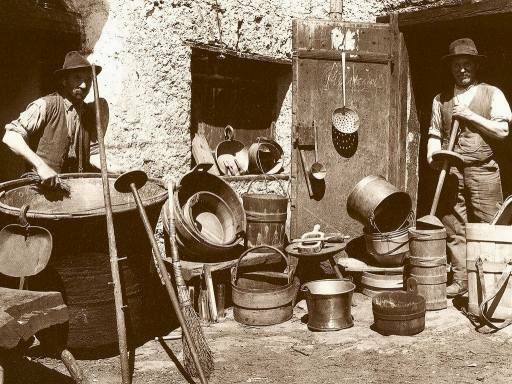 Cheese making may originate from nomadic herdsmen who stored milk in vessels made from the sheep's and goat's stomach. Because their stomach linings contains a mix of lactic acid, wild bacteria as milk contaminants and rennet, the milk would ferment and coagulate and a product reminiscent of yogurt would have been produced, which, through gentle agitation and the separation of curds from whey would have resulted in the production of cheese. 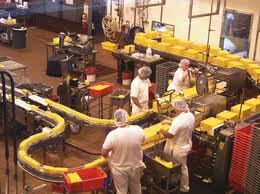 Process: The job of the cheese maker is to convert milk into cheese. The milk may be from a cow, goat, sheep or buffalo, although worldwide cow's milk is most commonly used. cheese making, intending to produce a product with specific characteristics and organoleptic requirements (appearance, aroma, taste, texture) that are consistent every time it is made. In modern industrial cheese making factories (sometimes called creameries) the craft elements of cheese making are retained to some extent, but there is more science than craft. This is seen particularly in factories that use Computer-aided manufacturing. The end product is very predictable. So in contrast, individual cheese makers tend to operate on a much smaller scale and sell "handmade" products; each batch may differ, but their customers expect, indeed anticipate, that— much like for wines, the taste, flavor and aroma remain the same. Culturing: To make cheese the cheese maker brings milk (pasteurized or not) in the cheese vat to a temperature required to promote the growth of the bacteria that feed on lactose and thus ferment the lactose into lactic acid. To make cheese the cheese maker brings milk (pasteurized or not) in the cheese vat to a temperature required to promote the growth of the bacteria that feed on lactose and thus ferment the lactose into lactic acid. These bacteria in the milk may be wild, as is the case with un-pasteurised milk, added from a culture, frozen or freeze dried concentrate of starter bacteria. Cheese makers choose starter cultures to give a cheese its specific characteristics. Also, if the cheese maker intends to make a mold-ripened cheese such as Stilton, Roquefort or Camembert, mold spores (fungal spores) may be added to the milk in the cheese vat or can be added later to the cheese curd. 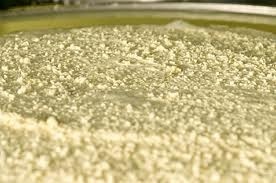 Coagulation: When during the fermentation the cheese maker has gaged that sufficient lactic acid has been developed, rennet is added to cause the casein to precipitate. As the curd is formed, milk fat is trapped in a casein matrix. After adding the rennet, the cheese milk is left to form curds over a period of time. The amount of time, and of rennet, varies depending on the variety of cheese being made. These variations reflect the skills of cheese makers who have, over the centuries, found ways to make very different cheeses using essentially the same materials. Draining: Once the cheese curd is judged to be ready, the cheese whey must be released. As with many foods the presence of water and the bacteria in it encourages decomposition. The cheese maker must, therefore, remove most of the water (whey) from the cheese milk, and hence cheese curd, to make a partial dehydration of the curd. 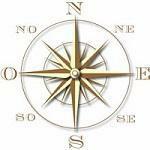 This ensures a product of good quality and that will keep. Scalding: If making Cheddar (or many other hard cheeses) the curd is cut into small cubes and the temperature is raised to around 39 °C (102 °F) to 'scald' the curd particles. The curd is then milled into ribbon shaped pieces and salt is mixed into it to arrest acid development. The salted green cheese curd is put into cheese moulds lined with cheese cloths and pressed overnight to allow the curd particles to bind together. Mold-ripening: The cheese curds are then removed from the hoops to be brined by immersion in a saturated salt solution. The salt absorption stops bacteria growing. If white mold spores have not been added to the cheese milk the cheese maker applies them to the cheese either by spraying the cheese with a suspension of mold spores in water or by immersing the cheese in a bath containing spores of, e.g., Penicillium candida. By taking the cheese through a series of maturation stages where temperature and relative humidity are carefully controlled, the cheese maker allows the surface mold to grow and the mold-ripening of the cheese by fungi to occur. Quality control: Cheese makers also need to be skilled in the grading of cheese to assess quality, defects and suitability for release from the maturing store for sale. The grading process is one of sampling by sight, smell, taste and texture. Part of the cheese maker's skill lies in the ability to predict when a cheese will be ready for sale or consumption, as the characteristics of cheese change constantly during maturation. Most cheese makers by virtue of their knowledge and experience are adept at making particular types of cheese. Few if any could quickly turn their hand to making other kinds. Such is the specialization of cheese making. Casu Marzu, the cheese from Sardinia. Top 10 cheese producers in (metric tonnes) the World. The largest producer of cheese is the United States. Cheese is rarely found in East Asian cuisines, presumably for historical reasons. Cheese consumption is increasing in China, with annual sales more than doubling from 1996 to 2003 (to a still small 30 million U.S. dollars a year). Certain kinds of Chinese preserved bean curd are sometimes misleadingly referred to in English as "Chinese cheese", because of their texture and strong flavor. 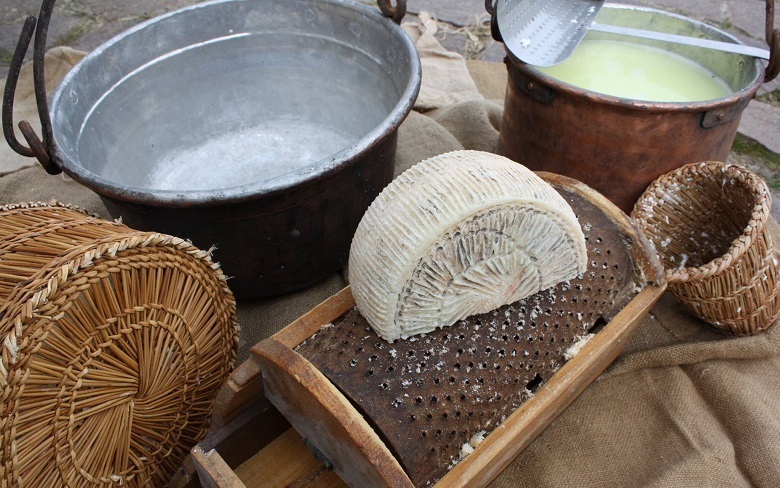 Even in cultures with long cheese traditions, it is not unusual to find people who perceive cheese – especially pungent-smelling or mold-bearing varieties such as Limburger or Roquefort – as unpalatable. Food-science writer Harold McGee proposes that cheese is such an acquired taste because it is produced through a process of controlled spoilage and many of the odor and flavor molecules in an aged cheese are the same found in rotten foods. He notes, "An aversion to the odor of decay has the obvious biological value of steering us away from possible food poisoning, so it is no wonder that an animal food that gives off whiffs of shoes and soil and the stable takes some getting used to. Casu marzu (also called casu modde, casu cundídu, casu fràzigu in Sardinian language, or in Italian formaggio marcio, "rotten cheese") is a traditional Sardinian sheep milk cheese, notable for containing live insect larvae. It is found almost exclusively in Sardinia, Italy. 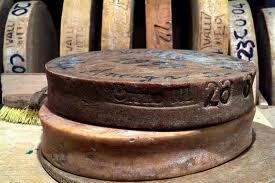 Derived from Pecorino, casu marzu goes beyond typical fermentation to a stage most would consider decomposition, brought about by the digestive action of the larvae of the cheese fly Piophila casei. These larvae are deliberately introduced to the cheese, promoting an advanced level of fermentation and breaking down of the cheese's fats. The texture of the cheese becomes very soft, with some liquid (called lagrima, from Sardinian language for "tear") seeping out. 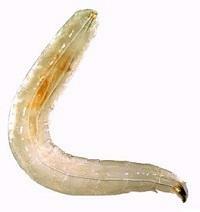 The larvae themselves appear as translucent white worms, about 8 millimeters (0.3 in) long. When disturbed, the larvae can launch themselves for distances up to 15 centimeters (6 in). Some people clear the larvae from the cheese before consuming while others do not. 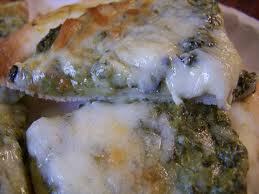 The cheese is considered to be unsafe to eat when the maggots in the cheese have died. When the cheese has fermented enough, it is often cut into thin strips and spread on moistened Sardinian flatbread (pane carasau), to be served with a strong red wine. Because the larvae in the cheese can launch themselves for distances up to 15 centimeters (6 in) when disturbed, diners hold their hands above the sandwich to prevent the maggots from leaping. Those who do not wish to ingest the maggots place the cheese in a sealed paper bag. The maggots, starved for oxygen, writhe and jump in the bag, creating a "pitter-patter" sound. When the sounds subside, the maggots are dead and the cheese can be eaten. Attempts have been made to circumvent the EU ban by having Casu Marzu declared a "traditional" food (it has been made in this manner for over the 25 yeas required by EU regulations and id therefore exempt from ordinary food higiene regulations). 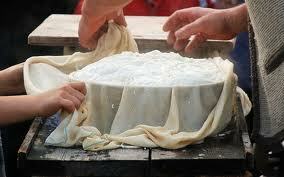 The traditional methods of making the cheese is explained by an official paper of the local government. 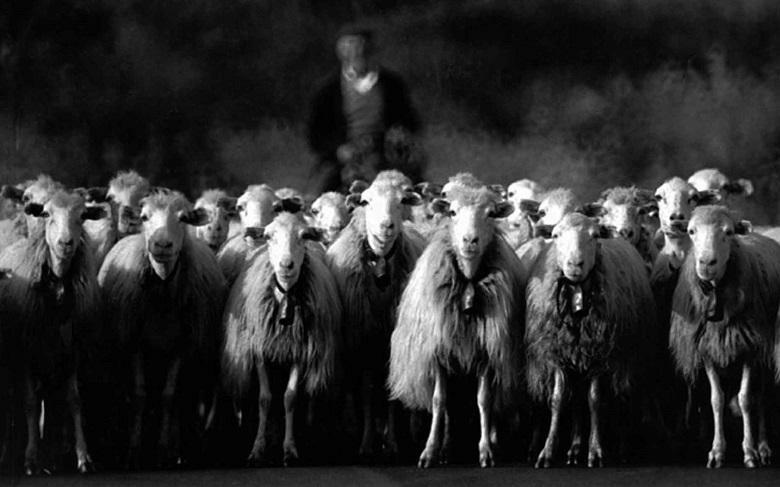 A cooperation between sheep farmers and researchers at the University of Sassari developed a hygienic method of production, in 2005, aiming to allow the legal selling of the product. However as of December 2014 the cheese is not listed as a recognized traditional food in the EU Database of Origins and Registration or in the list of the Italian Ministero delle Politiche Agricole. Origins and Registration or in the list of the Italian Ministero delle Politiche Agricole. Therefore, the legal status of 'Casu Marzu" in the EU remains questionable. Similar milk cheeses notable for containing living insect larvae are produced in several Italin regions. The Marcetto or Cace Fraceche in Abruzzo. Gorgonzola co-i grilli (with crickets) in Liguria. Saltarello in Friuli Venezia Giulia.